Colonel Mikhail Ryabko of the Special Operations Unit, Director and Chief Instructor of Systema Headquarters, Moscow, Russia. Colonel Mikhail Ryabko entered the world of Systema at the age of five being trained by one of Joseph Stalin’s own bodyguards, progressing to combative Spetsnaz training at the age of fifteen. Colonel Mikhail Ryabko’s faith of the Russian Orthodox Church and knowledge of the traumatic history of his homeland has bolstered his training and strengthened his sprit, through many of the military campaigns with the Russian Special Operations Units the Spetsnaz. Known by his men to be a fair commanding officer who’s far sightedness gave them the confidence to place their complete trust in his orders and decisions. Many accounts of Colonel Ryabkos military career and Spetsnaz training are legendary. Having been tactical commander of hostage-rescue squads, expert in counter-terrorist operations, and teams responsible for the neutralisation of armed criminals. These deeds are further borne out by the number of military and governmental awards and medals he has been presented with, and those presented by the Russian Orthodox Church. Stories of his exploits are told amongst Ryabko Systema students, how he single-handedly and whilst unarmed captured many outlaws; never purposely evading ferocious enemy fire; leading Spetsnaz units silently through a range of mountain passes that were filled with a vast number of fully armed enemy soldiers, minefields, and snipers. The unit reaching their objective without a single gunshot, loss of life or anyone being wounded. 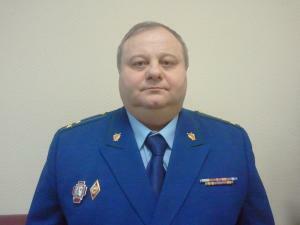 Today Colonel Mikhail Ryabko has entered retirement from the military and resides in the Russian capital city Moscow. However he is still an adviser to Russia’s Justice Minister. Colonel Ryabko also receives the benefaction of the Justice Minister of Russia over his famous School of Ancient Russian martial arts, where Ryabko Systema is taught by himself the Master Teacher of Ryabko Systema. 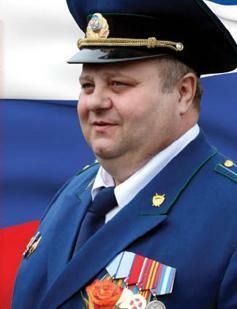 Colonel Mikhail Ryabko has vowed only to use his martial arts in critical situations, rather using good humour and a friendly smile to defuse any volatile situation he may encounter. Turning other peoples aggression into magnanimity just from a few well chosen words. The ultimate fighting technique mastered by Colonel Mikhail Ryabko is the ability to convert evil into good, and thereby saving his soul and the souls of the people he had saved from engaging him in combat. His modesty speaks as loudly as his Spetnaz training and fighting skills, preferring to speak more of his Ryabko Systema students abilities than his own.